I always battle between which of two breakfast options I will order when I go out to eat–eggs benedict or biscuits n’ gravy. Both options seem intimidating to make at home, but I have learned a great short cut to biscuits n’ gravy. 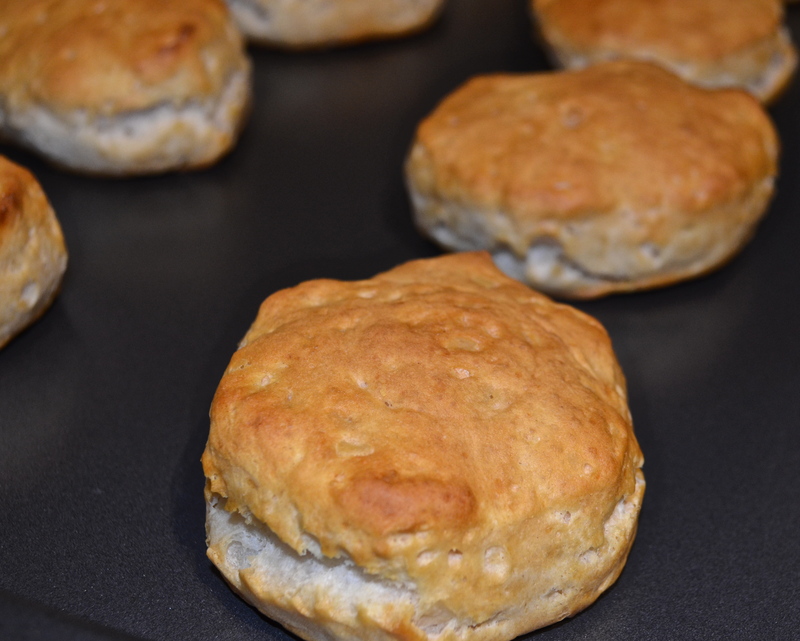 Use store bought refrigerated biscuits! Sure, sure everyone prefers homemade biscuits–you feel fancier when you can say that you made your own biscuits. Believe me I understand. 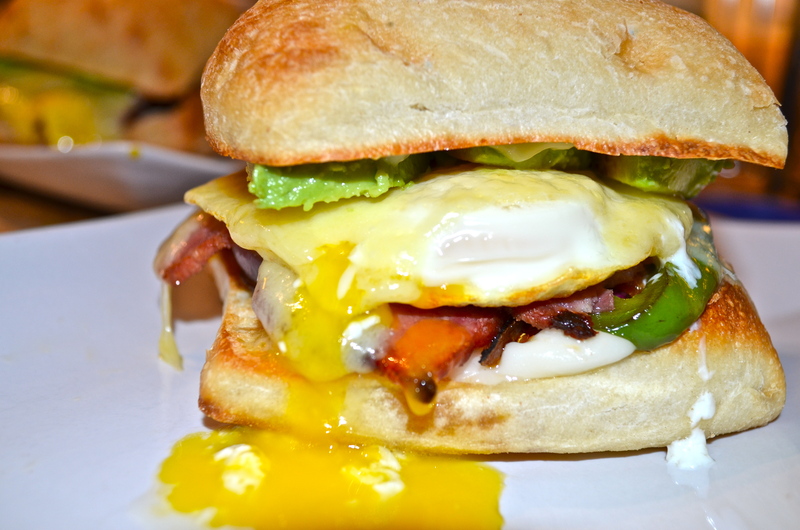 I prefer to make food from scratch too, but sometimes you just want a quick, hearty breakfast without all the fuss. Hence, the “no fuss” biscuits n’ gravy recipe. 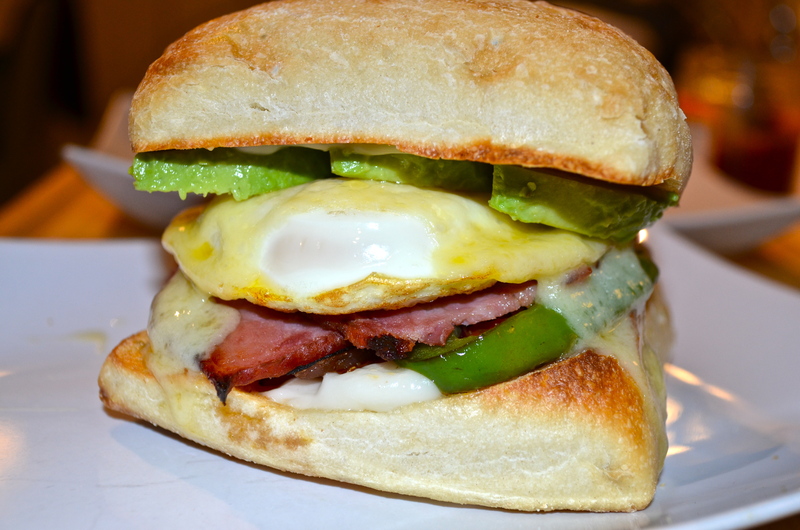 You will not compromise the taste by using store bought biscuits and who would have thought you could make this restaurant quality breakfast in 15 minutes??? 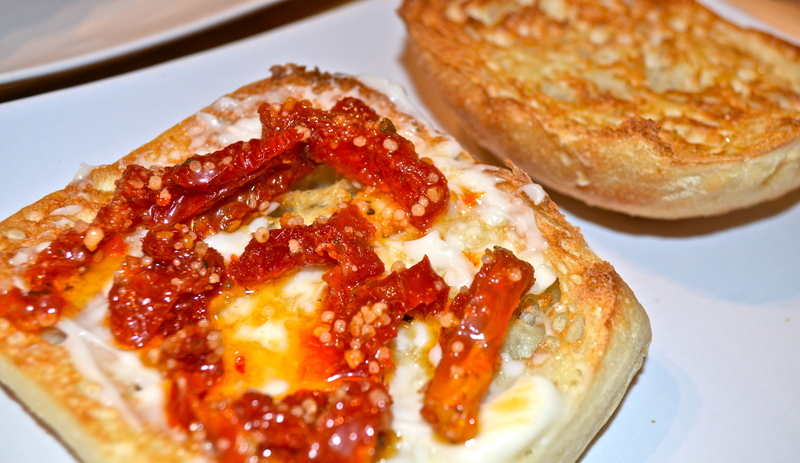 Hot breakfast and hot coffee on a crisp morning is an amazing way to start the day. I even made the recipe this morning before work for Andrew. Biscuits n’ gravy are his go to when we go out to brunch. I tend to rely on him ordering that breakfast option so I can explore other yummy treats when we go out to eat (I know sneaky of me). 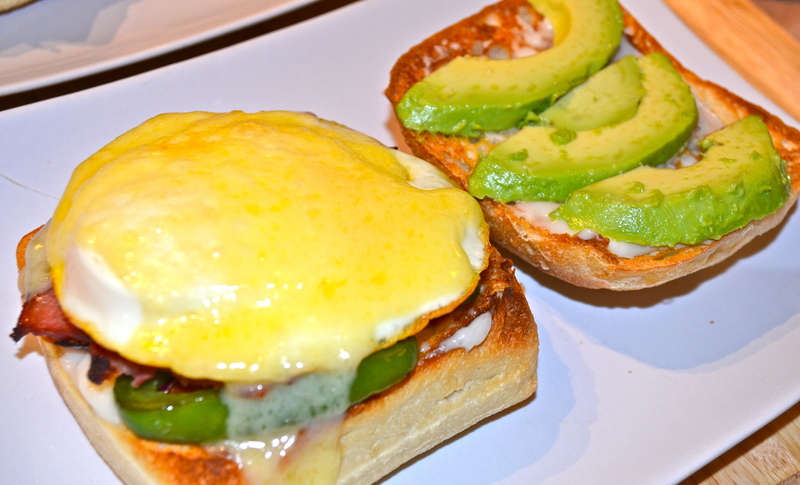 I decided to re-pay him for all those forkfuls I have stolen over the years by making his favorite breakfast at home. He was impressed that I took Teek on a walk and even served up breakfast by the time he had got ready for work. 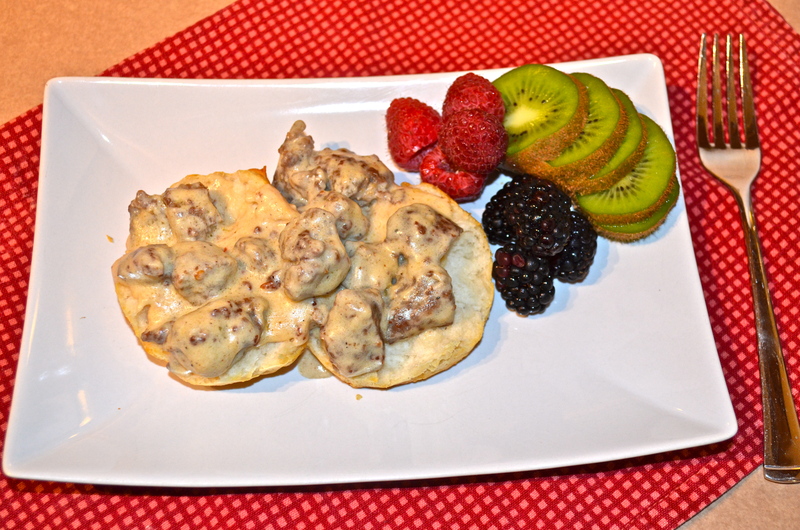 I have made these biscuits with different types of pork sausage and turkey sausage–the country style, hot sausage is my personal favorite, but you can use whatever type of protein you prefer. Also, you can cook sausage patties or links and then remove them from the frying pan and make the gravy with the grease that is left in the pan. 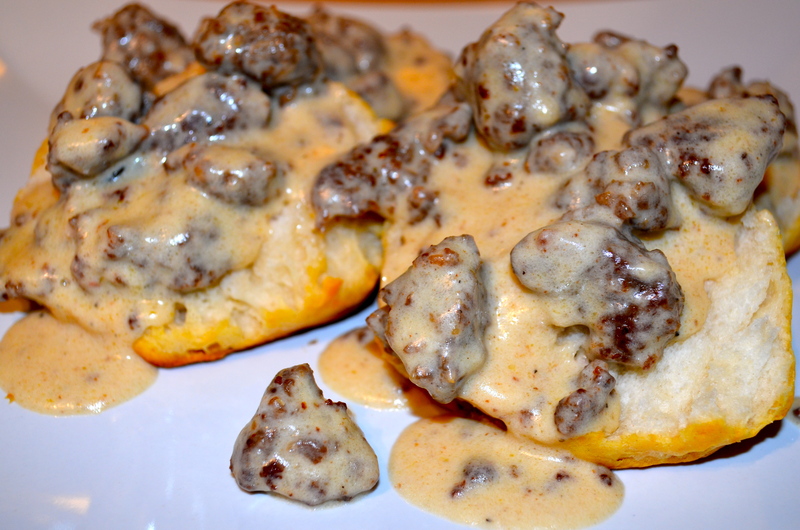 This is a great alternative if you want to serve the sausage on the side of the biscuits. Bake the biscuits as indicated on the package. The brand I use has the oven preheated to 375 F and you bake the biscuits for 11-15 minutes (takes 13 minutes in my oven). 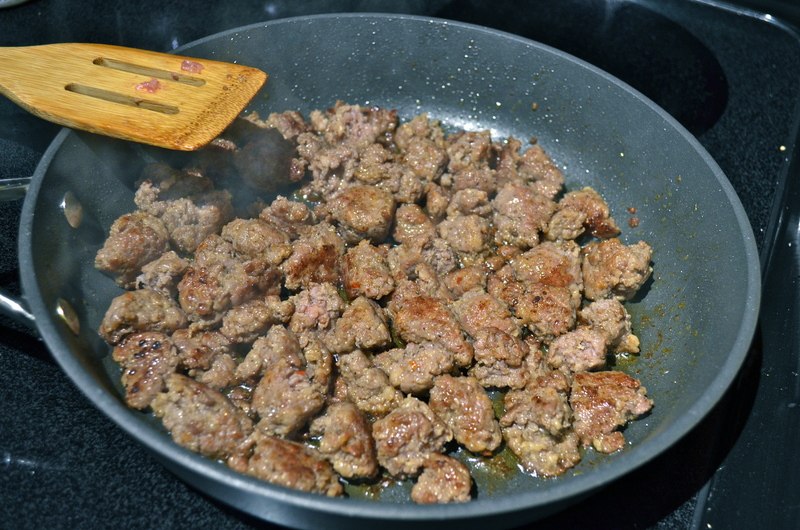 Once the sausage has browned, sprinkle the meat with the flour and stir until the fat from the sausage dissolves the flour, cook for 1 minute. Add the heavy cream, milk, salt and pepper and reduce heat to medium-low. Cook an additional 3 minutes until the sauce forms a gravy-like consistency. Remove from heat. 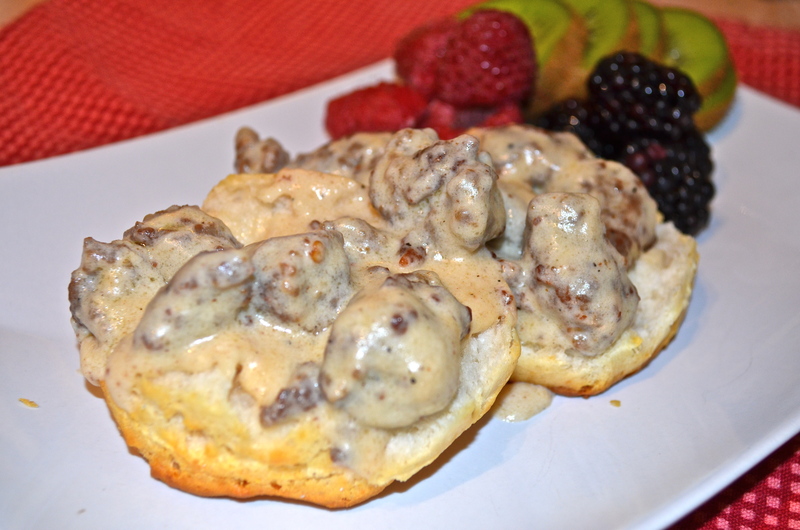 Cut the biscuits in half and spoon sausage gravy over the biscuits. Serve immediately.